Teachers of all grades can use these projects to enhance their science curriculum through use of the Internet. Many projects utilize real time data, others draw from primary/historical information sources. In collaborative projects, students from around the world contribute data for comparison. Each project includes a brief description, teacher guide, standards, classroom activities, data source links, even online help. Many projects focus on water, water quality, weather, oceanography topics. 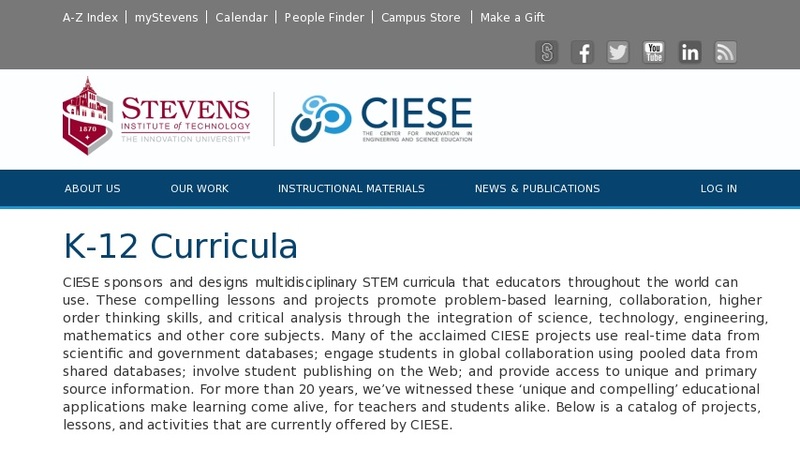 Undergraduate science education is also featured.